My June Beauty Box 5 came later than usual this month! I’ve been looking forward to seeing what summer goodies were going to be in the June selection, and I will say that I’m not disappointed. This month, on top of all the usual goodies, we also got certificates to gift friends a free box. Keep reading for a code to snag one for yourself! While I do appreciate that this kit contained a variety of different skincare samples from Eslor, I’m really trying to establish a set skincare routine for myself as opposed to using a bunch of different products at once. Thus, these might be sitting around for a while. It’s nice to get a taste of a high end brand, though! I’ve tried the Argan Oil shampoo and conditioner from Organix, which I really liked. The Coconut Water line sounds great if you have super dry hair, like myself, and want a lightweight hydration and shine solution. Who knows– these packets might just get used! I’m in love with Vita Bath’s different fragrances and I constantly have one of their body washes sitting around. (Although, sometimes I have to hide them because Adam loves the scents, too!) This one smells so much like real cake, you might just be tempted to taste it. The only place I’ve been able to find Vita Bath products for purchase in-store is Bed Bath and Beyond. This nail polish is a perfect All-American red! Nearly fully opaque in one light coat, the formula doesn’t pool up and dries quickly. I strongly suggest using a base coat (always, but especially with this polish) to avoid staining. Unfortunately, I couldn’t find the name of the shade on the bottle. Do you know what it is? 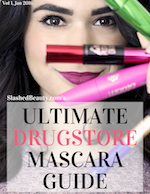 This is a great mascara option if you have sensitive eyes, or you prefer vegan products! I know that my eyes get sensitive to some eye product formulas, and this one is hypoallergenic, gluten and paraben free. Although this box only had one full size product, I did enjoy the samples we received for June. The nail polish is definitely the star of this box, but I know that– between Adam and me– the body wash will disappear in about a week! This month, you can actually snag a FREE box or get $12 off a quarterly/yearly subscription. Just head over to their website and use the code FREE614 at checkout. This only applies for new subscriptions, and the code expires on 6/30/14. Did you discover any new favorites from your box? Glam Natural looks cool! I do have sensitive eyes…I need to check this out. haven’t tried this box but this one looks great. I’ve had BB5 before, I am still partial to Ipsy. I’d be interested to read what you thought of the Organix products. 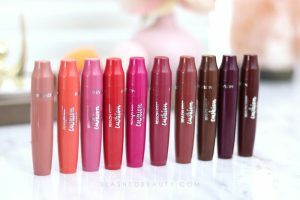 I need more than one full size product to make me happy! I’m glad you liked your other samples though! It’s a shame you can’t find the name of the polish colour but it looks beautiful! Great box! I love your milkmaid braids and thick brows! I’m always hearing about vitabath. It’s time I try it! Glue that looks like boogers. SNORT. I love that glue, too, but I am a 12 year old boy in disguise. The milkmaid braid is cute, but I can empathize with the braids being too heavy! Loved this month’s box, too, it was the perfect assortment of products! Mmm, Dreamy Pink Frosting sounds delicious! I also got VitaBath in my box but it was cherry-scented. Still tasty-smelling though! I love that Shampoo & Conditioner! Ohh I am loving this box! That shampoo and conditioner sound great! HEB carries the Vitabath body wash. I almost bought some today but then remembered I was supposed to on a no buy. I have 2 Nicka K New York polishes that I had a terrible time with and being my first experience with Nicka K New York, it was a super bad impression and I never disliked a polish so much. Mine don’t have any color names on them either, but I found the names on the Nicka K New York website. Those little samples are so perfect for travel and vacation since they take up little space and are already perfectly packaged for a short term use. It’s so much fun getting a cosmetics box in the mail and discovering what surprises are inside! It’s like having Christmas Day every month when the mail arrives. I like this month’s box. That body wash is divine! Mmmm. Dreamy Pink Frosting? Count me in! Oh what a great box. I am loving everything I have tried from the Organix line. I almost grabbed the Coconut water one at Target the other day. I do for sure love their Argan line. And I think I so want that Vitabath stuff, you had me a frosting.. lol… Great post girl! I love that line from Vitabath. I think the scents are fabulous. And I also love Nicka K polish. I think you got a great box!